The Bundy Hall was closed down by the Wellington Shire in August 2012, and the Committee worked hard on a campaign to reopen the Community Hall, just before Christmas 2013 Since then the Hall has been actively used by the Community for dances, music events, markets and community meetings and get togethers. The provenance of the Bundalaguah Hall is important in heritage terms. The land was given to the community for the construction of the Hall by a local farmer and the Hall itself was built with community raised funds. The CWA was very active in fund raising for this building and has met there regularly since its inception, supporting the Hall for the last 59 years. 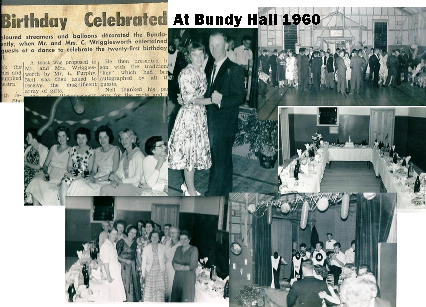 Just a little on the Hall’s history and how it affects the 60th anniversary of its opening in 1954. 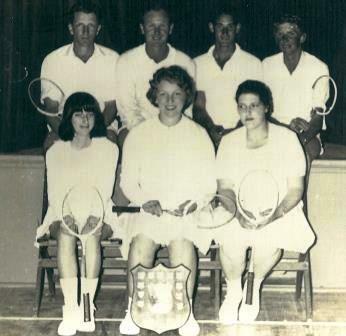 The amount raised in the various activities reached 1100 pounds by April 1954, and it was decided to call tenders. The Times reported in April that the Hall was to be 60 X 30 feet with “a separate kitchen” The successful tenderer was W Barton of Maffra, for 1778 pounds. The hall was built without the supper room, this was added in 1960 by L McMahon, Maffra and cost 1588 pounds. The Maffra Shire was very supportive of the project and applied for a grant to assist with it. At a public meeting on October 18 1954 the first Committee was elected to administer the Hall’s operation. Members Mr R. Cowie, Mr. G Gilbert, Mrs. R Smethurst, Miss D. Clark. Maffra Shire Rep. : Cr. G. Gray. There was also a fund raising committee appointed, but no details of members were recorded. The overdraft was 1000 pounds and the funds committee was charged with the responsibility of reducing it as quickly as possible. The official opening was to have been held on the 16th of November, but was for an as yet unknown reason postponed to the 24th. The first event was a film night during October, the exact date is not known at the moment. In light of the above, it would be fitting if the Hall’s 60th birthday was celebrated in mid to late November this year. How that is done is a matter for discussion. It is a ready made opportunity to conduct fund raising.